Following days of analysis of a case of an 11 year old girl raped at gunpoint by Dr Munyaradzi Kereke, girl child rights activist and global advocate for girls Betty Makoni said this sad development has taken her down memory lane as she visualised how in mid July this year a girl was abducted in Zimbabwe,raped and her body parts found in a refrigerator.The rapists concealed the crime. “Now in 2010 Dr Munyaradzi Kereke rapes an 11 year old girl at gunpoint and tears off her hymen and we know where he is but we let him go scot free.All that I feel is that the government has let us down.Girls are at risk in Zimbabwe and they are alone.Maybe unless citizens mobilise and arrest such alleged rapists ” ,said Betty Makoni literally weeping. 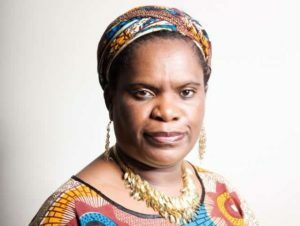 As a poet and someone who heals through poetry Betty Makoni reproduced her 2004 poem she wrote to mourn a Norton girl who was raped by four men who later put her body parts in a refrigerator.Could her first name Hazviperi (It doesn’t end) have any bearing on the experiences of her work?